December is upon us, and often two holidays run almost parallel with each other. Christmas and Hannukah. Firstly, it seemed quite quiet. 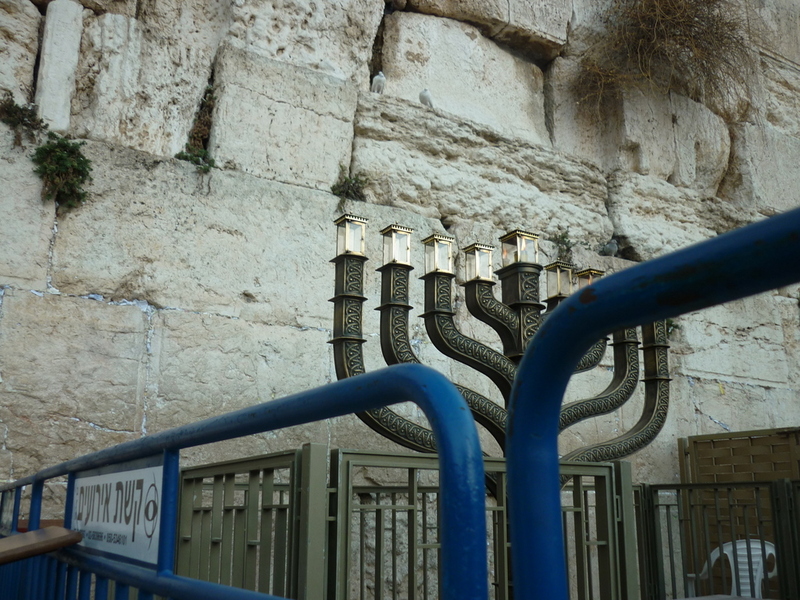 A stand has been erected with a large bronze Menorah. This has 9 candles on it. 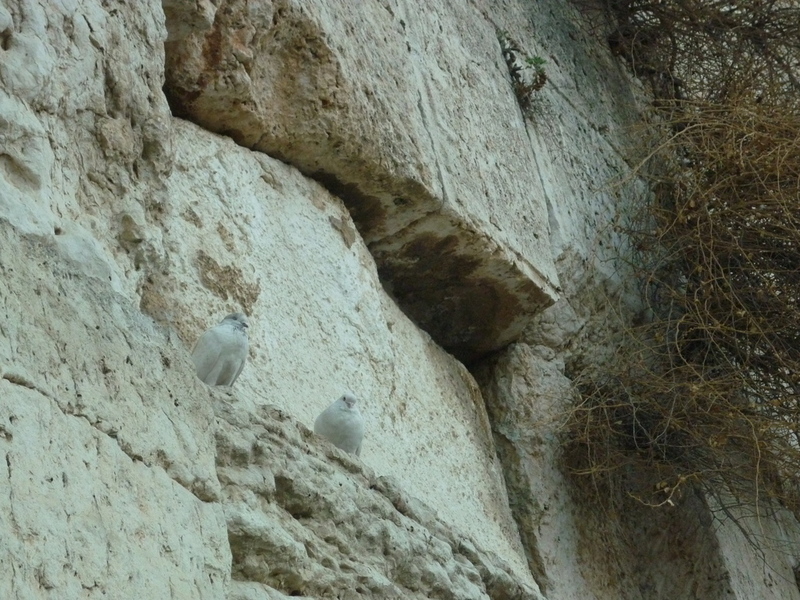 These two doves appeared before a Rabbi came and did the prayer and lit the candles. 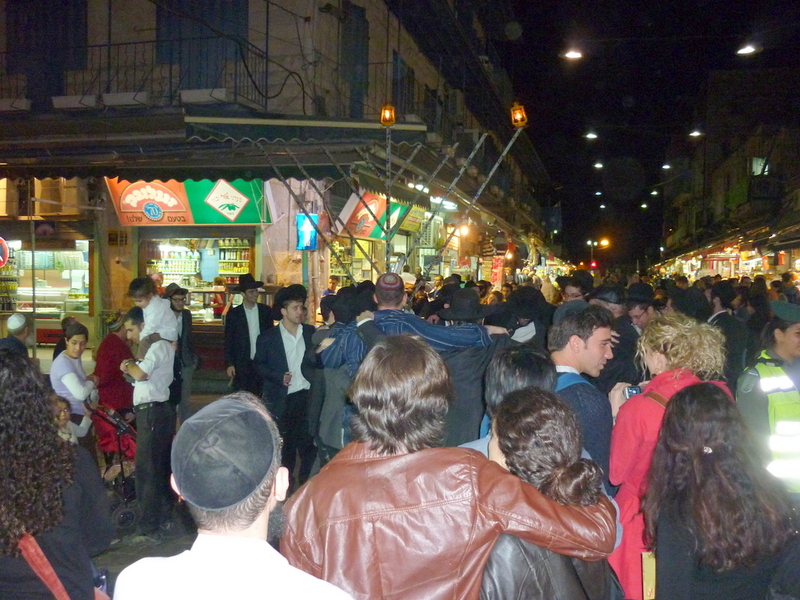 After which there were a lot of people grouped around to sing and dance in which I joined in. 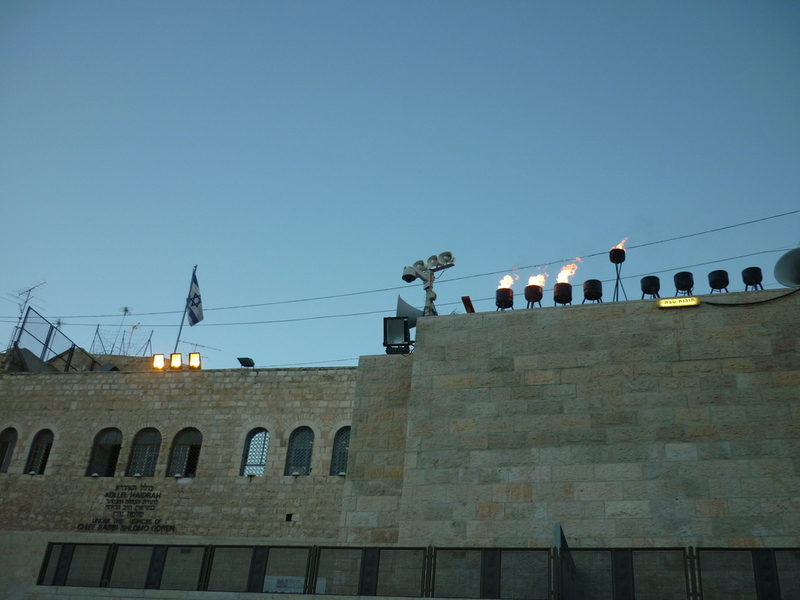 Of course, there are candlabras all over Jerusalem, including on top of the Kotel Plaza roof here. 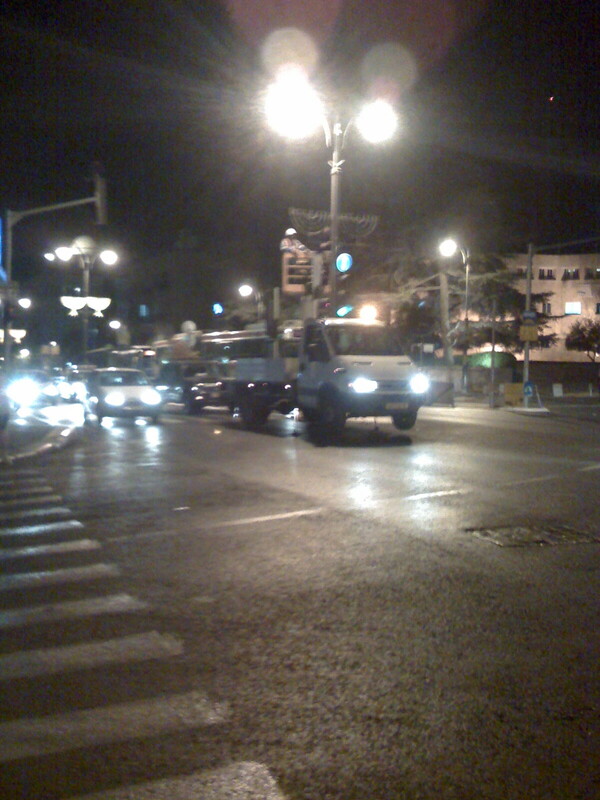 Left: Last week I saw this Jerusalem municipality truck with workman putting up decorations on the streetlights. 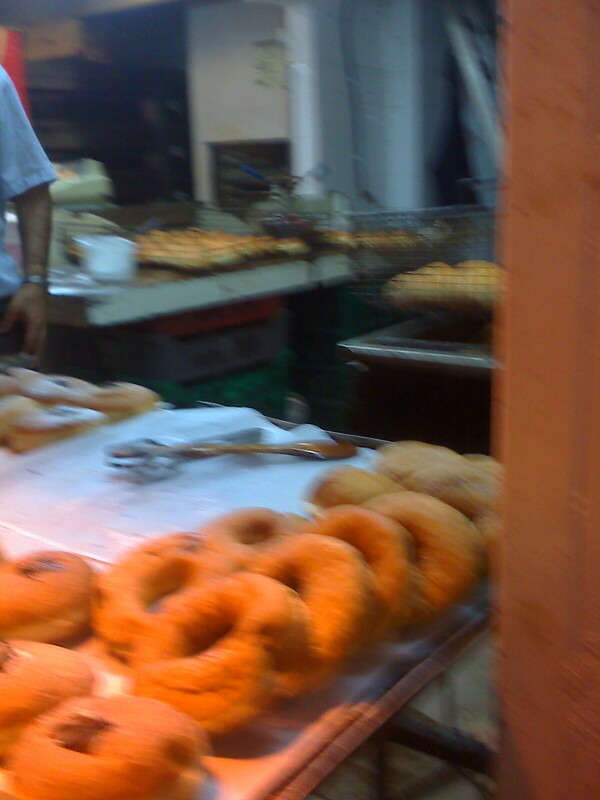 Right: Lastly with the huge amounts of Sufganiyot (doughtnuts) being sold in the too-numerous bakeries I see here, I spotted this clever machine, the doughnuts were being made and this man was doing the finishing touches to them, by impaling them on this spike and pushing on a lever to inject the jam into them.